I'm not much of a home decor person, but one of my guilty pleasures is sheet/duvet sets. A stockpile of sheets is pretty much essential to any household with germaphobe OCD and/or dogs ruling the bed and/or a combination of both. It's more difficult than one would think to find non-floral, non-shabby chic, cool linens though. But now that I've discovered SAFE HOUSE, it's safe to say* I know where I'll be getting my next (four) sets from. *ew bad pun but I'm leaving it! 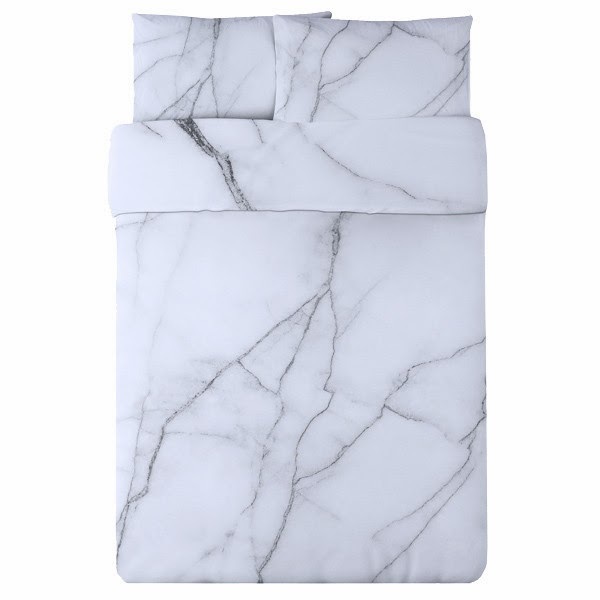 JESUSFUCKINGCHRIST.... that white marble number needs to get on my bed right now.